After the first attack of "3.3 DDoS" on Mar 3, 2011, the rumor has that first destruction of HDD will appear on Mar 10. The expectation was wrong and variant of 3.3 DDoS appeared 2 days later than its previous version emerged. General user need to be careful from avoiding unwished HDD destruction. User must boot his/her computer safe mode with networking for safety. And scan/treat PC with using anti-virus SW.
* When PC is turned "ON"
User must keep anti-virus SW latest version and scan PC or scan current version of anti-virus SW after unplugging LAN cable. ※ When PC is turned "ON"
Boot computer safe mode with networking with pressing "F8" after CMOS page. In either cases of having no anti-virus SW or having not updated latest version, download file first and scan/treat. We recommend total scan for treating 3.3 DDoS related malicious files as following. This kind of DDoS related malicious file will damage HDD and unable to use PC normally. Furthermore, a lot of user who use file hosting web sites may be infected by this malicious file. 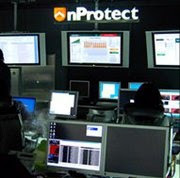 INCA Internet (Security Response Center / Emergency Response Team) provides diagnosis/treatment function with nProtect AVS and runs responding system against various security threats. Visit this blog for even more helpful articles from advanced users. What a great day to write another essay. Look here https://writemyessay4me.org/blog/illustration-essay for an interesting essay ideas. In high school, it is very important to be able to write an essay, in the future it can help you get a scholarship at a good university. Because many universities for scholarships offer their students to write an essay to see the student's motivation and desire to study. Top tips on writing an essay on our site CustomEssayMeister.